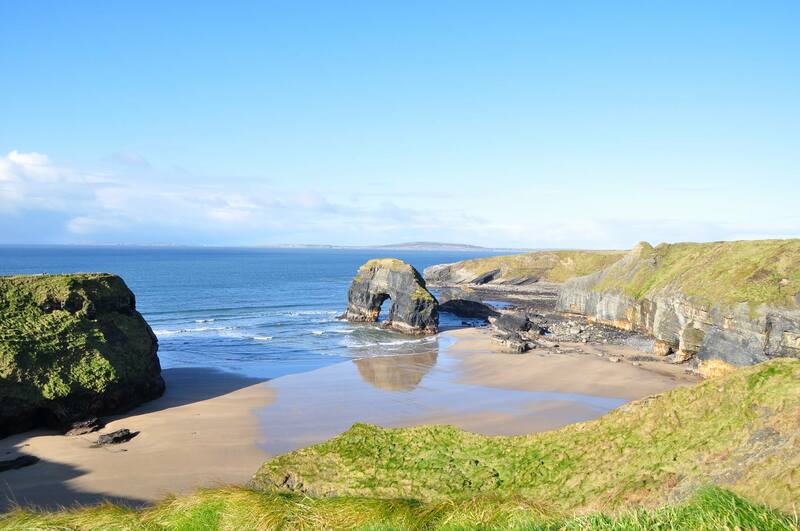 Ballybunion has miles of golden sandy beaches. 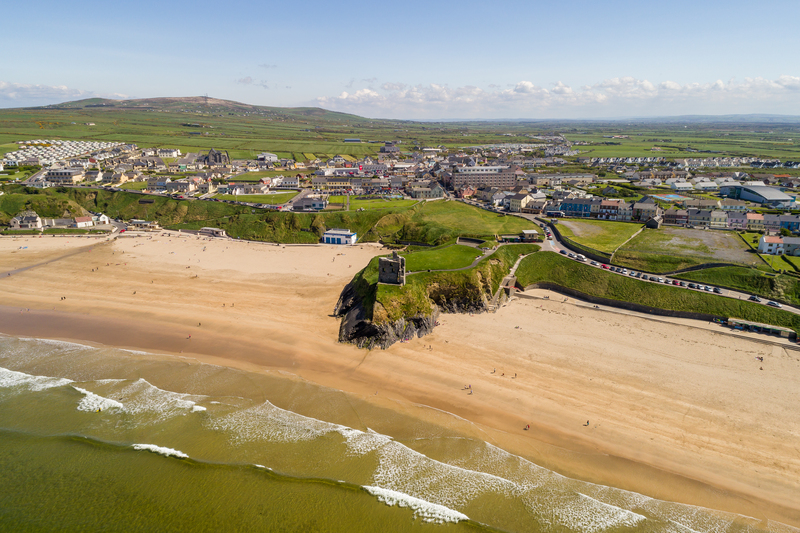 The two main beaches are The Ladies Beach and The Mens Beach separated by a Castle ruin (given to the fact that men used to bathe on a separate beach from women and children). 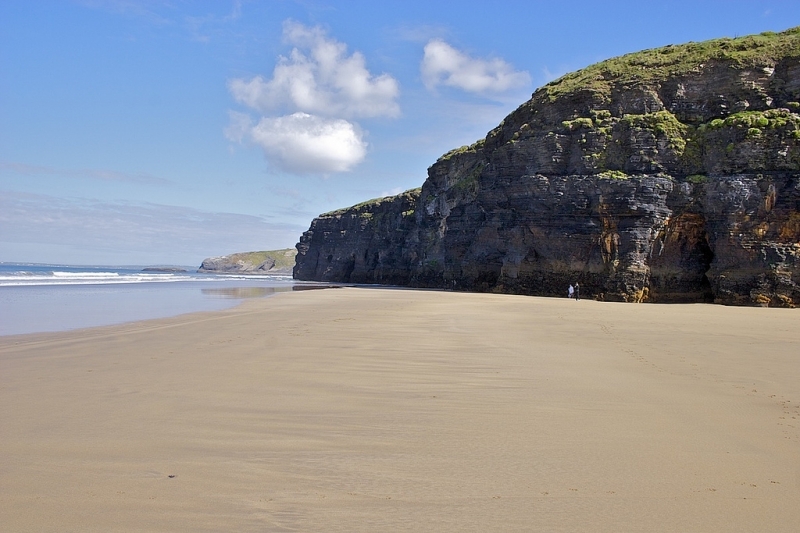 They are both Blue Flag beaches and are perfect for walking, very safe for swimming, surfing and other water-sports. Lifeguards are on duty daily from June – September. A small cafe, hot seaweed baths and an ice cream shop on The Ladies beach are open during the summer season. 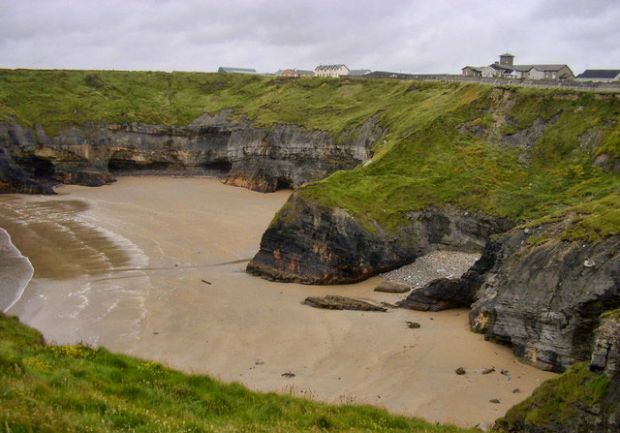 Large cliffs to the right of The Ladies beach have shallow caves.